Moving a team of people from your business demands a quality transport service that you can rely on. Our cloud-based vehicle management system has all the important information about your trip to ensure it goes smoothly. Our experienced journey coordinators have mapped out the start and destination for your trip to ensure we get your people there on time, safely and in comfort. Moving groups of guests from other businesses can reflect directly on your business. 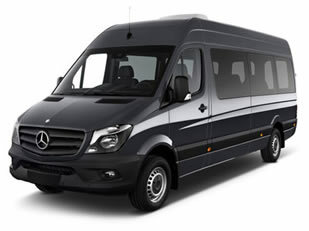 SmartBus’ quality minibuses and experienced drivers will help portray your business as a reputable quality organisation that your guests can depend on. SmartBus is a wholly owned subsidiary of SmartCar Australia - SA's finest chauffeured limousine service. SmartBus has a fleet of mini buses and drivers as well as a sophisticated booking management system to ensure your minibus arrives on time. We look forward to making your group outing a success. Signup to receive our newsletters and offers.